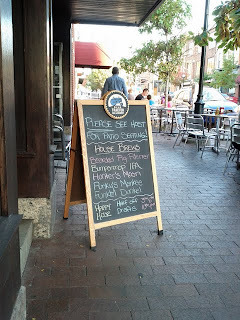 I found myself in Ann Arbor, Michigan on a business trip for the second time this year. I took the opportunity to do another stroll through downtown. 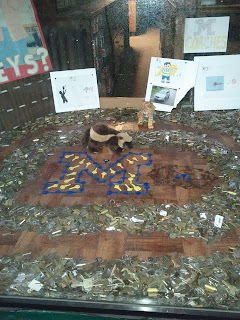 I passed my favorite locksmith, Vogel's Lock and Safe and saw a badger hunting around near the U of M logo. Perhaps Wisconsin was in town to play the University of Michigan a visit during football season? 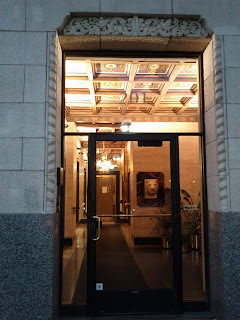 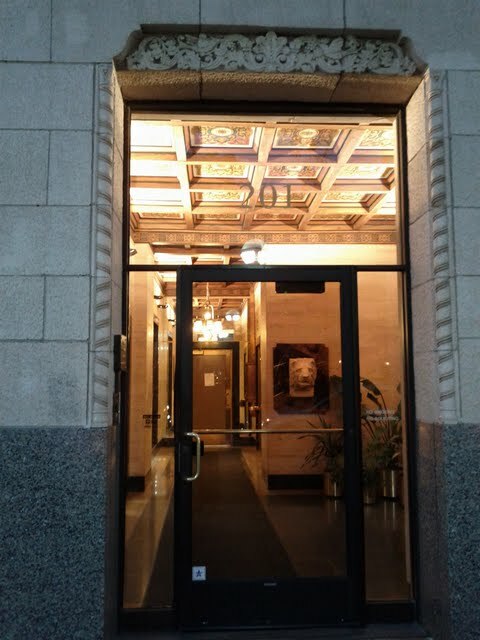 I walked past a building with an ornate interior ceiling. 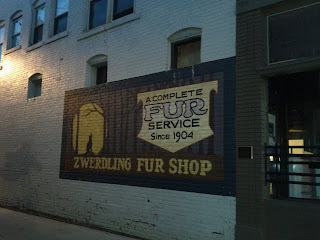 There are a number of old and unique shops in Ann Arbor including the Zwerdling Fur Shop which has been around since 1904. 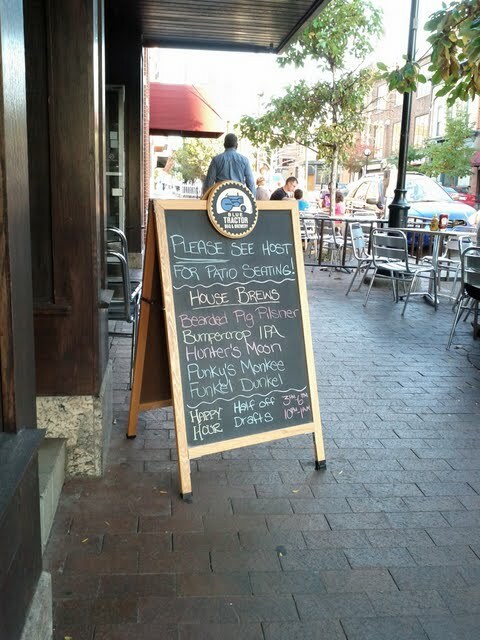 I had dinner at the Blue Tractor. 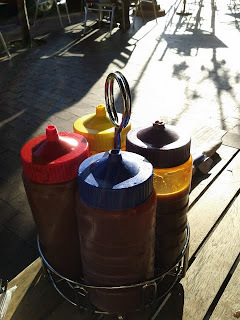 It was a lovely Fall day and we were able to sit outside. 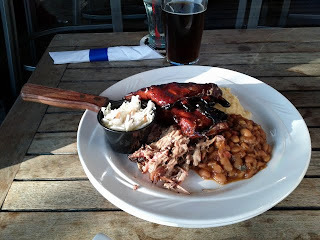 I enjoyed a barbeque sampler plate with a craft brewed beer. 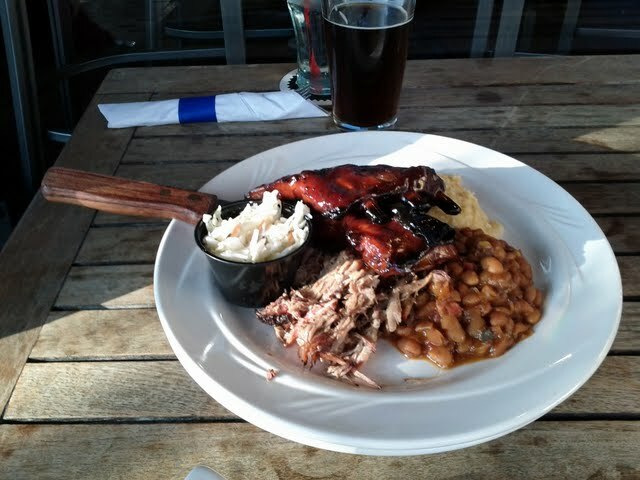 The meal came with four BBQ sauces to choose from -- yum! 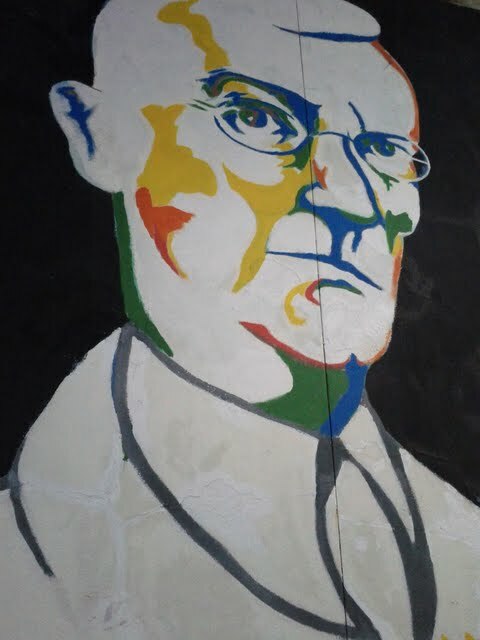 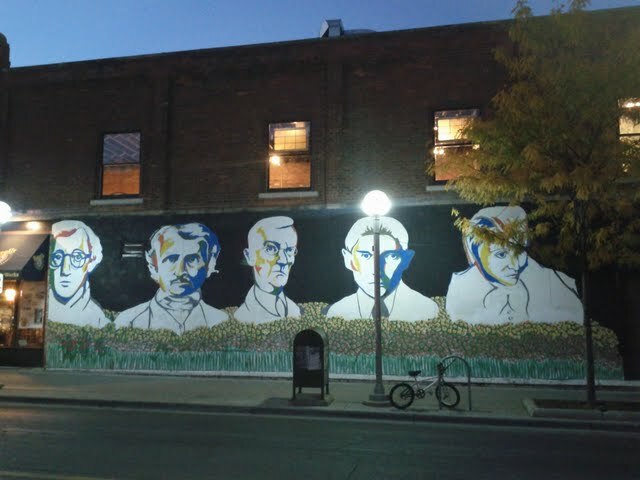 The next morning, I continued my random walks through Ann Arbor and spotted this wall of painted portraits. 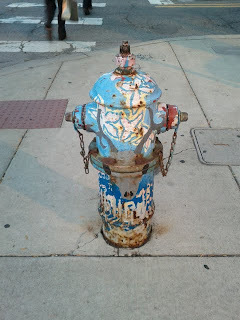 Even the fire hydrants were decorated in colorful shades. 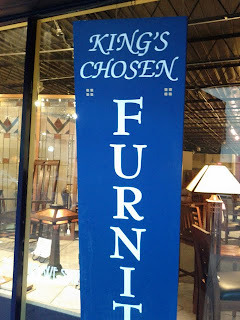 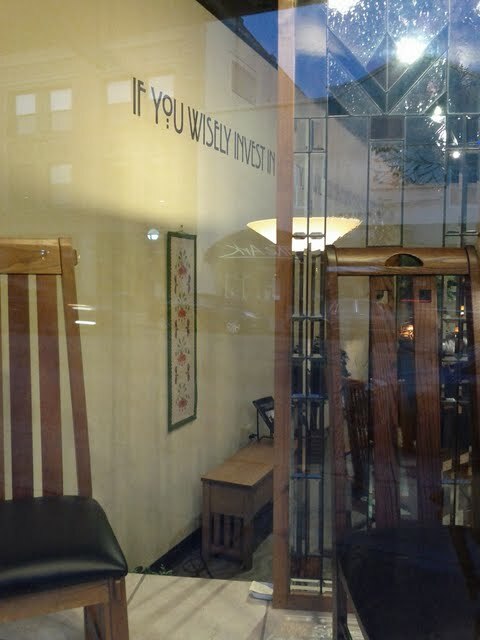 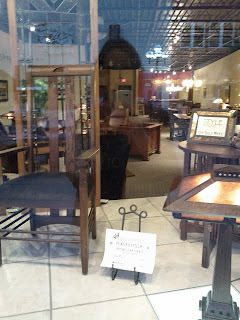 I passed King's Chosen Furniture and was surprised to see some familiar designs -- inspired by Charles Rennie Mackintosh, the architect we'd seen all over Glasgow a few weeks before! I liked this concrete oasis -- Liberty Park. I discovered a new favorite place to get coffee in Ann Arbor. 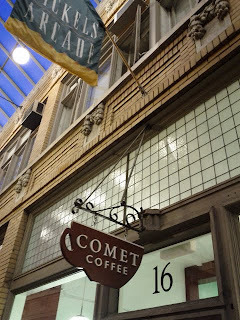 Comet Coffee is located in Nickels Arcade, a well-preserved Victorian era shopping arcade. 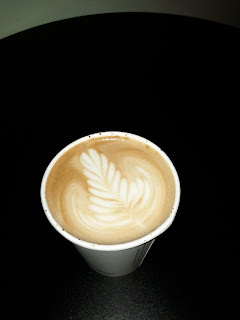 The latte I ordered was well prepared with a lovely leaf decoration. 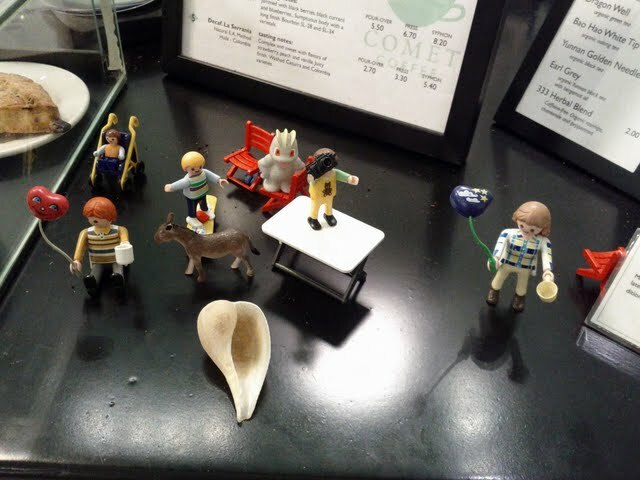 Various toy figures adorned the order counter. 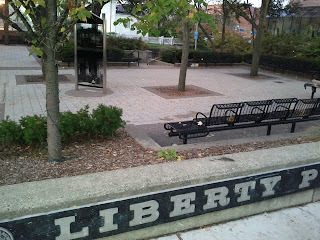 I was out and about pretty early and the sun still wasn't up. I spotted some striking figures on a brick wall near the arcade. The only one I recognize is Woody Allen (far left). 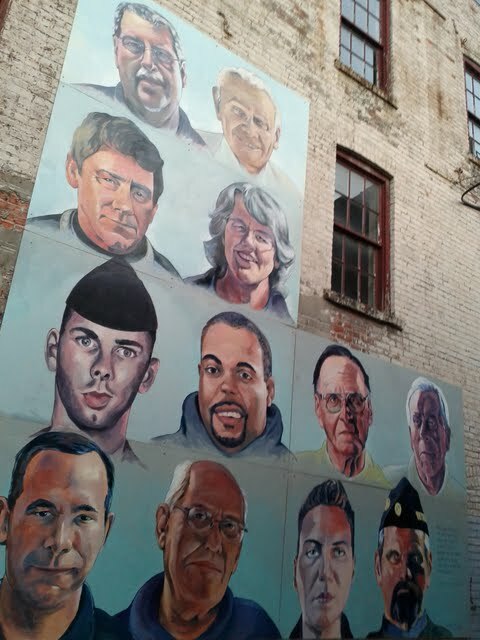 Any ideas about the others? 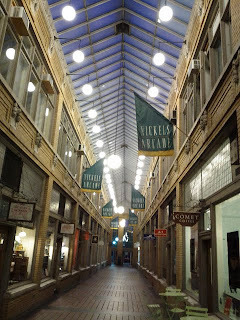 As usual, I had a great time taking the opportunity to explore a place I may not get to otherwise. I always recommend getting up 30-60 minutes early to take a walk and discover a new place when traveling on business.